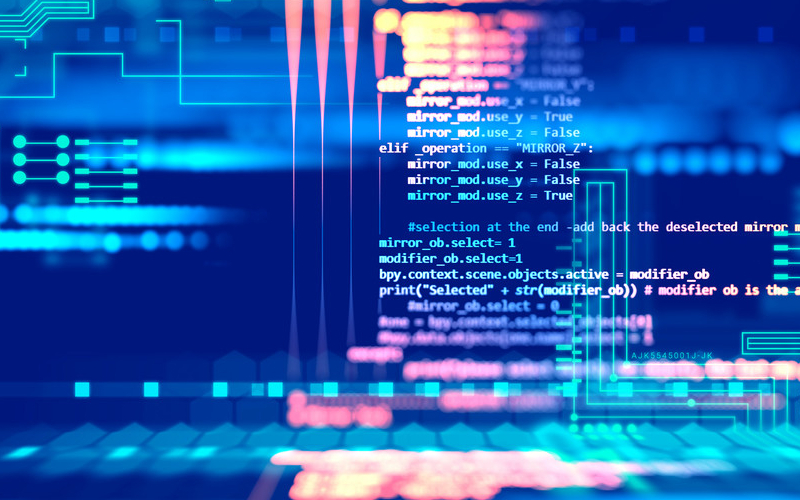 The Sonicwall Capture Labs Threats Research team have been recently tracking malware deriving from Ransomware construction kits. 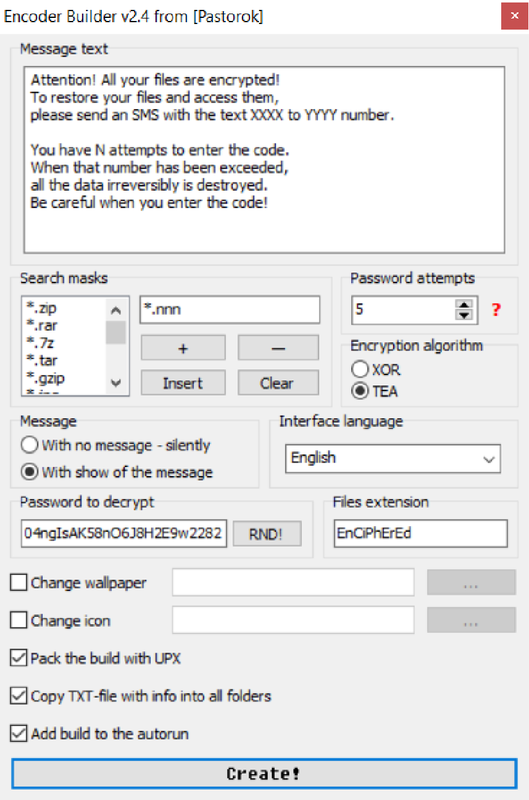 Xorist, is one such ransomware where a kit is provided and an attacker can configure various features such as message text, file extension of encrypted files, encryption algorithm, unlock password etc. 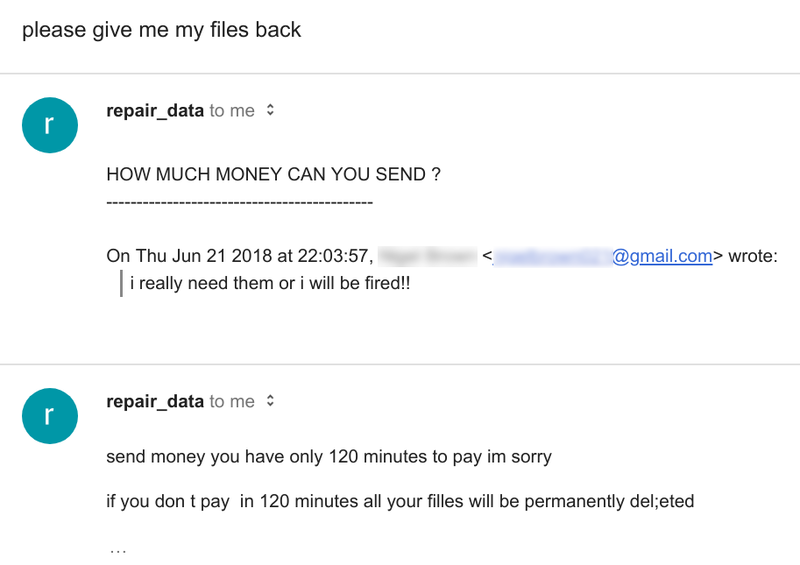 The attackers charge 0.8 BTC (around $4953 USD at the time of writing) for file recovery.